﻿ Bahura Resort and Spa, Dumaguete | FROM $77 - SAVE ON AGODA! 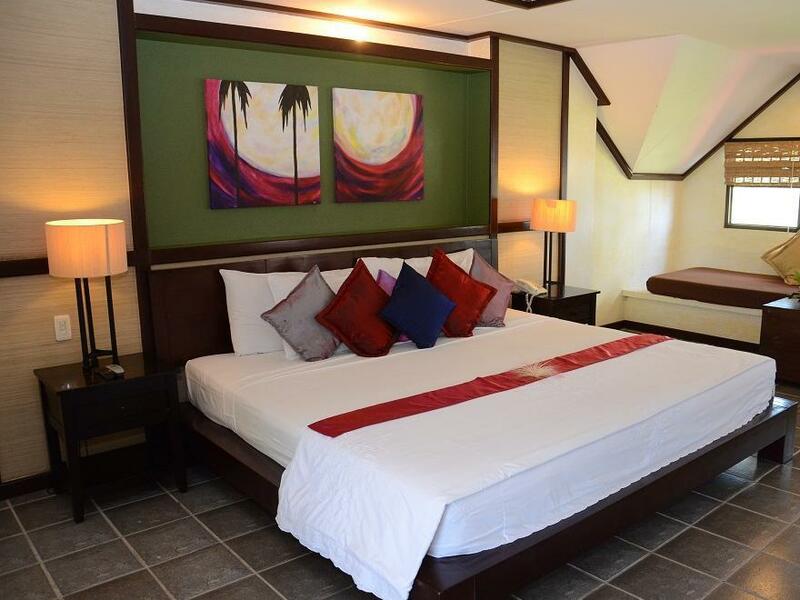 "EXTREMELY CLEAN STAFF HELPFUL WITH CONCERNS OF THERE CUSTOME..."
Have a question for Bahura Resort and Spa? "The location is nice and the pool is huge." 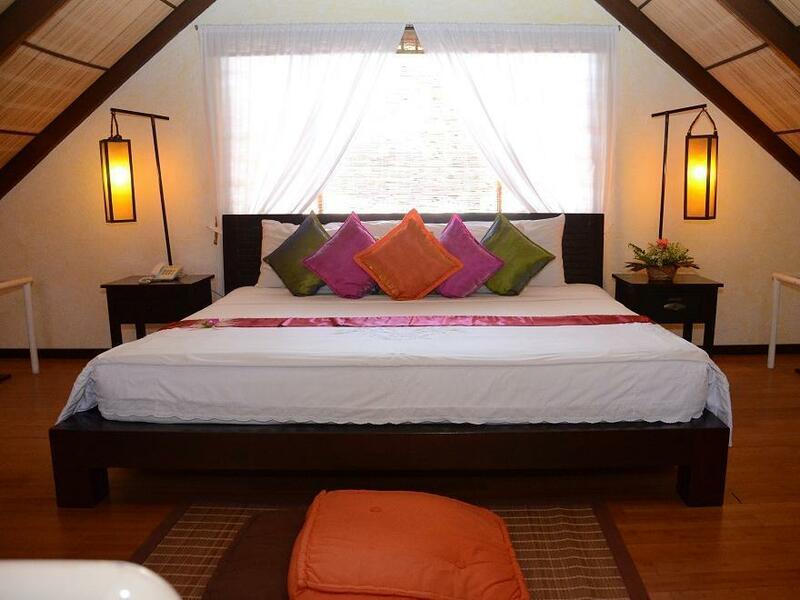 "The resort is a very relaxing place with spacious grounds which is further complimented by their spacious rooms." "Rooms are spacious and nice." "Bahura is one wholesome resort and it is indeed for families..."
Please be informed that if you plan to book the hotel's dive package, it is important that you indicate this information on the "spacial remarks" field at the time of booking. The hotel requires this information before an arrival date. Please also note that dive arrangements are subject to availability. You may e-mail your reservations for diving at cs@agoda.com. We came with some hesitation. But our stay has been exceptional. Simple but big clean rooms, breakfast comes with most room bookings and its cooked to preference, not some horrid tasteless buffet. The local barako coffee is great. Staff is courteous and accommodating. The pools are very clean. They kept the beach natural with its round pebbles and dark fine sand. Public transpo not very frequent so you would need to call the front desk ahead to have the call in a "pedicab" which is a motorcycle with a sidecar. It seats 8. Or book a van, if you're precious. 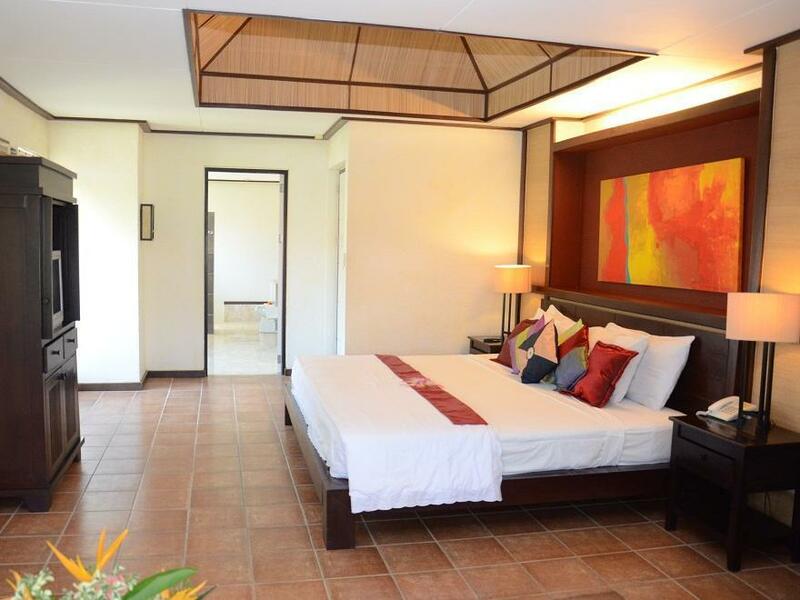 :P But if you're up to a very quiet stay, except for a few birds chirping (3 species at least), a swing under a Talisay tree by the water, a 13-foot pool scuba practice dive, or practice your zen rock pillars on the black sand, this is a great option. I could live here. Quite expensive Resort, that did not meet the expectations. The Resort was boring and not well maintained. The room we booked was ok in size but was not as clean as it should be. The breakfast buffet was very bad and did nit live up to the room rate. One Day the breakfast could be picked from menu, slightly better than the buffet. The pool area was ok. Occupied 3 rooms to treat my family to a holiday. Highlight of our holiday was Apo Island but all the young and grown up kids enjoyed staying at Bahura and swam until sunset at their picture perfect pools. We enjoyed our a la carte dinner at the restaurant as well as the varied sets of complimentary breakfast. Although we had our own our van as we traveled from Bacolod City, it would have been easy to arrange transport if needed. Will definitely stay again if going to Apo Island. If you convert to condos, I will buy Villa #1!! EXTREMELY CLEAN STAFF HELPFUL WITH CONCERNS OF THERE CUSTOMERS POOL WAS ENJOYABLE AND PLEASNANT FOOD WAS ACCOMMIDATING OF EUOPEAN AND PHILIPPINE STYLE ROOM WAS EXTREMELY CLEAN. THERE ROOM SAFE YOU COULD DO YOUR TRANACTION KNOWING THAT YOUR VALUABLES WILL BE SAFE. 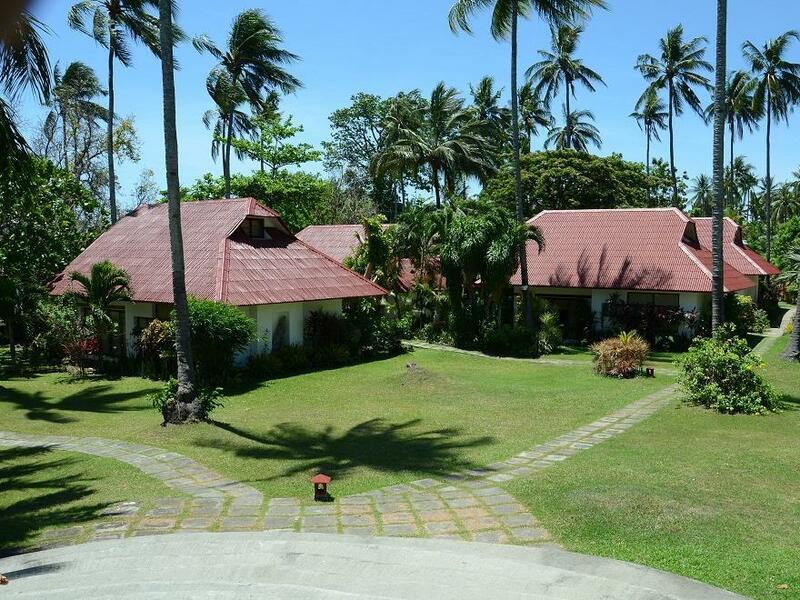 Bahura is located in Dauin, around 30 mins from the Dumaguete city. If you want a quiet, peaceful and relaxing holiday, this is a place to be. It is a beautiful resort, beach front (don't expect much from the beach thou, not white fine sand). Delicious food, a bit pricey. If you want to go to the city, you can take 30 mins bus ride. food was delicious and not pricy. staffs were kind. rooms were spacy and cozy. pools were wide and deep;including a big child pool. but not so good two aspects. _the color of sea surfice is not beautiful. _it takes 1hour to dumaguete city using a local jeepney. A paradice resort. Out of the way, lovely swimming pools, great food, friendly staff, nice and quiet except for the enjoyment of the surrounding nature. The resort has its own dive shop for organised trips to local dive sites like Apo Island. But take in note it is some 25 mins outside the biggest town of Dumaguete as there there is nothing else around except the very local rural stores. Bahura is one wholesome resort and it is indeed for families. The location is nice and the pool is huge. The resort itself is instagramable and gives you a refreshing feeling when you stepped in. But the room is a disappointment. The tv set is as old as the resort, the toiletries are to the minimum, the towels are thin and the linens old and tattered. I think it is about time for them to have a great upgrade of the rooms. Still it is a nice resort. The buffet breakfast is so so and the staff just place the spread in one table. There is no arrangement at all. And the staff should have decent uniforms. But they are great. Positive- The staff were very friendly, helpful and accommodating. The pool is excellent and the grounds of the hotel are beautiful. Easily located near central Dauin. However, for this price why is there no internet in the rooms? It is available in the public areas but this is not always convenient, still, a really good hotel.would certainly come again. We enjoyed everything, mostly peaceful surroundings! Food was delicious and portions huge. Staff was friendly and helpful. Swimming pool area was perfect! Beach is not good for swimming. It is rocky and there are also sea urchins. Only thing to complain about was hard and uncomfortable bed. Bahura resort is also easy to reach by bus (Ceres 50 pesos/person, 30 min from Dumaguete). Does not have a 24 hour concierge. We were supposed to leave early for Oslob at around 5am. They don't have people in the reception area to get your keys or to give you a wake up call. The guard said they will arrive 6am? 4 star hotel should have ready people to serve you when in need round the clock. Was not happy about it. Our weekend stay was okay, but that's just about it. Food was not great, apart from breakfast, but you can't go wrong with full english. If you fancy a laugh in the morning ask for bread basket. you will get two slices of toasted bread with some garlic butter and jam. The room is of good size with plenty of seating space and the bed was quite comfortable. But very small old school TV (19" is my guess) takes all the fun away if you wish for some DVD entertainment, especially if you are staring from 5-6m away. If you order coctails in the bar, you better watch how much alcohol goes in. I'm pretty sure i received juice only twice. Pool is of a god size with fresh water and cleaned every morning. Forget about the internet. There is none in the room and in public areas is very poor. Kind of a must these days, but maybe that's what you ar trying to escape from. All in all neutral experience, very relaxing and quiet, but missing few things to justify money spent.